Send A Message To Erin. Erin is a Registered Clinical Counsellor (RCC #10976) with a great passion for working with teens and adults who are struggling with anxiety, panic, depression, stress, or grief. Erin has a Master of Arts in Counselling Psychology from Adler University and has an abundance of experience in individual counselling, crisis intervention, family counselling, and victim services. Through her own journey with anxiety in her early twenties, Erin learned an extremely important lesson: anxiety, panic, depression, stress, and grief...those feelings don't need to define us. It may feel like we are being controlled by those emotions, but it is possible to break free of them. Counselling can help to increase self-understanding, rejuvenate our coping abilities, and reduce the hold that negative emotions and experiences are having on us. Happiness is possible and we all deserve it! Anxiety, panic, depression, stress, and grief can feel all-consuming and overwhelming. They can slowly creep in and take over our lives before we even realize it. Everyone's experiences with emotional distress and pain are unique and Erin recognizes that there is not a single counselling method that will be perfect for every person or every concern. Thus, she strives to adapt her counselling to meet each individual's needs, often including aspects of Cognitive-Behavioural Therapy (CBT) and Family Systems Therapy. Erin also enjoys incorporating her clients' interests into sessions (i.e. music, art, books, writing, etc.) as much as possible. Most importantly, Erin believes that the relationship between a client and counsellor is of the utmost importance. She makes it her primary goal to create a safe, relaxed, and non-judgmental environment for clients to explore their concerns, behaviours, feelings, and thoughts. Erin appreciates the privilege that comes with accompanying her clients on their journey of discovery, exploration, and learning. Erin strongly believes that life is about choices. We can choose to be stuck in our current patterns and miseries or we can choose to make changes and move forward in a positive, healthy manner. Choice can be empowering and exciting – it can even help you to regain some of the control that you may have felt was lost over time. By booking an appointment with Erin, you are choosing change and positive movement. She will help you to identify your goals and strengths, while also developing your toolbox of coping strategies and attaining new levels of self awareness. Erin will help you to gently look at your past experiences to see how they may be affecting you in the present moment. Over time, the future will seem hopeful and optimistic. 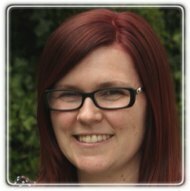 Erin is sees clients for both face to face appointments and telephone appointments. Free and confidential 15 minute telephone consultations are available on request prior to booking an initial appointment. Erin has offices in two cities, Maple Ridge and Vancouver, to best serve you. Her office in Maple Ridge is located at Whole Body Health & Wellness, a wellness centre that also serves clients seeking out a nutritionist, chiropractor, massage therapist, acupuncturist, naturopathic doctor, or reflexologist. She is available at her office in Maple Ridge on Sundays (10am-3pm), Mondays (4-8pm), Tuesdays (4-8pm) and Wednesdays (9am-1pm) and at her Downtown Vancouver office on Thursdays (3pm-9pm).